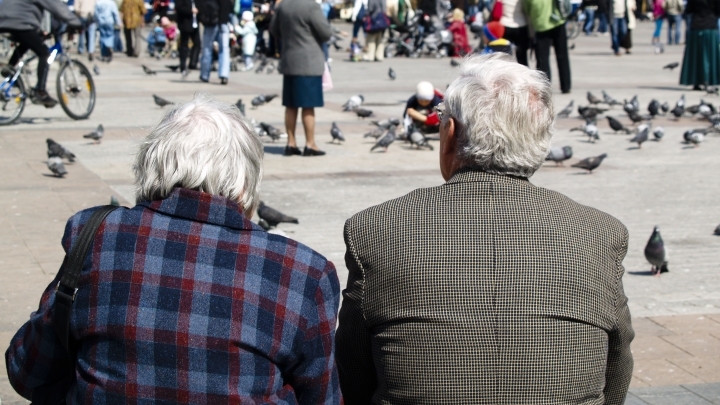 As seniors begin to age, many worry about the prospect of developing Alzheimer's disease. They may seek an evaluation, but it can be difficult to predict who is suffering from early symptoms even when memory problems are reported. A trio of common tests used in tandem, however, may help doctors predict who will develop the neurodegenerative disease within three years. The research, published in journal Neurology, suggests that the combination of tests can help physicians differentiate between patients with mild cognitive impairment and those having memory problems as part of the aging process, but who likely won't develop dementia. Pinpointing patients likely to develop the disease could help doctors offer earlier treatments to those at risk while offering assurances to those at a low risk. To determine risk, researchers examined both brain MRI scans and cerebrospinal fluid with the addition of neuropsychological testing, finding that such a technique was highly accurate. Dr. James Brewer, a neurologist, and an associate professor of radiology and neurosciences and part of the Alzheimer’s Disease Neuroimaging Initiative research team at the University of California San Diego School of Medicine, called the finding "very exciting." "This combination was very complementary and synergistic and can help make accurate predictions," Dr. Brewer said. "It makes sense to check for these." Often, research that is conducted involves testing equipment or technology not yet available to the masses. But the technology for Dr. Brewer's combination of tests is available now. "The critical thing from this paper is that these tests are clinically available to physicians," Dr. Brewer said. "This is available right now." Hundreds already have been scanned at the University of California San Diego School of Medicine. And outpatient radiology companies such as Washington Radiology Associates and CorTechs Labs are starting to offer the U.S. Food and Drug Administration-approved NeuroQuant MRI. The advanced MRI device remains the only one to use an FDA-approved database of normal same-age peers as a basis for comparison. Neither IV contrast or radiation are required for the scan. Though it is available, it is not commonly used, though dozens of research hospitals including the Cleveland Clinic and Cedars-Sinai Medical Center offer the neuroimaging technology. In addition to standard images, the volumetric MRI machines also measure regional brain structure. "Most radiology is worthless (to Alzheimer's disease) patients," said Dr. Brewer. They get a scan and (doctors) only look for an explanation (for memory loss) such as stroke or a tumor. They don't check regional neurodegeneration." When deciding which tests could best predict Alzheimer's, Dr. Brewer said it simply came down to deductive reasoning. He chose not to include a test for amyloid plaque, a hallmark of Alzheimer's disease, because it can be present in healthy people. "It's possible to high high amyloid and no neurodegeneration, which would not equal Alzheimer's. It could be positive in a lot of normal, healthy individuals," Dr. Brewer said. During the study, researchers enrolled 85 participants who participated in cognitive and memory tests, as well as advanced MRI brain scans and cerebrospinal fluid testing. The patients were monitored for about three years, which confirmed that patients with abnormal results on the three tests were almost 12 times more likely to convert to dementia or Alzheimer's disease. Investigators were nearly perfect in predicting which patients would develop Alzheimer's within three years. None of the individuals who tested negative for all three markers developed the disease during the three-year follow up period. About 90 percent of patients who tested positive through all three markers developed dementia within three years. The median length of time it took patients to develop dementia after a test in which all biomarkers was positive was 15 months. But in addition to the study participants, Dr. Brewer said about 400 patients already have been scanned in clinical practice with positive results. He suggests that patients consider getting scanned annually if the results indicate they are at a low risk for developing Alzheimer's disease. "We can relieve their fear of Alzheimer's," Dr. Brewer said of the patients found to test negative for each of the assessments. "It's very valuable to have an accurate diagnosis. It's valuable, but disheartening to hear you will likely go on to Alzheimer's disease (in patients with positive tests)." The findings could suggest a shift in diagnosing Alzheimer's disease, Dr. Brewer said. It may in fact mean less waiting to "see what happens" and more aggressive testing to find the cause of memory problems. Though there is no cure for Alzheimer's disease, finding our early could allow patients to begin treatment early or seek out promising clinical trials. He noted that drugs in trials appear capable of stopping neurodegeneration, though they are likely to come with severe side effects. Ensuring only patients with an accurate diagnosis risk those side effects is critical -- especially since younger patients -- those in their 60s instead of their 70s or 80s -- tend to progress more quickly once dementia begins. "News of neurodegeneration is awful news, terrible news, but it should be reserved for people who have that prognosis," Dr. Brewer said. "Patients want to know how much time they have living in the way that they are used to." Funding for the research came, in part, from the Alzheimer’s Disease Neuroimaging Initiative, the National Institutes of Health, the National Institute on Aging, the National Institute of Biomedical Imaging and Bioengineering as well as contributions from Abbott, AstraZeneca, Bayer Schering Pharma, Bristol-Myers Squibb, Eisai Inc., Elan Corporation, Genetech Inc., GE Healthcare, GlaxoSmithKline, Innogenetics, Johnson & Johnson, Eli Lilly and Co., Medpace, Inc., Merck and Co., Inc., Novartis, Pfizer Inc., Roche, Schering-Plough Corp., Synarc, Inc. and Wyeth, and the Alzheimer’s Association and the Alzheimer’s Drug Discovery Foundation. Dr. Brewer and two additional authors of the research have a financial interest in MRI analysis software company NeuroQuant. MRI imaging technology from that company was used during the study.